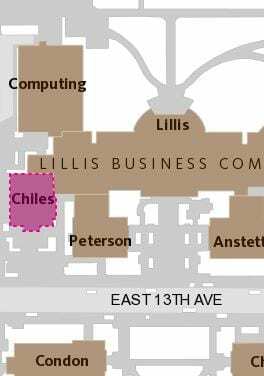 Beginning Monday, 12/17/18, the north entrance will be closed to the University Health Center, University Counseling Center and Testing Center due to the construction of the new three-story addition. The south entrance to the building will serve as the main entrance during the remainder of the construction project. We are scheduled to have the north entrance open by October 2019. Over Winter Break, the project will be removing the concrete curb that supported the information kiosk on 13th Avenue and patching with asphalt. There will also be some utility connections on 13th Avenue. LCL will keep the road open to traffic during these activities. For questions please contact CPFM Design and Construction Manager Patrick Mucker at 541-346-8216. 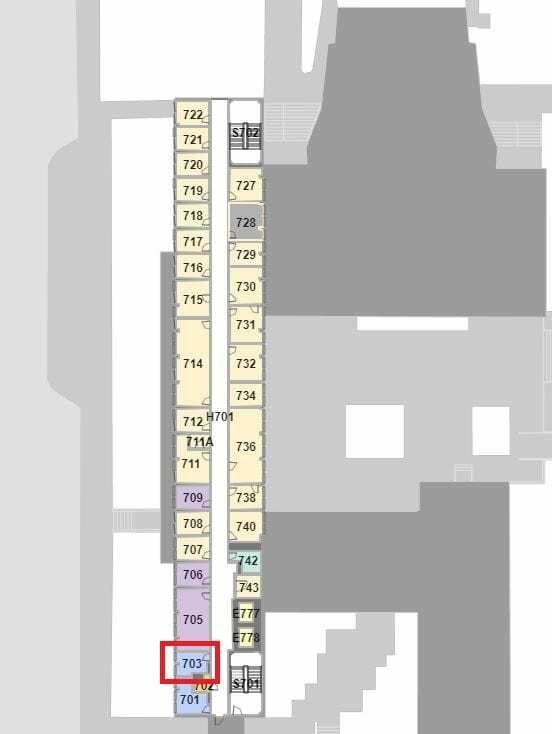 The General Contractor, Lease Crutcher Lewis, and their sub contractors will be doing light renovation work in the HEDCO suite 170 from 12/10 to 1/4. It will involve building new walls in the existing space. Work will include setting up temporary dust barriers, minor demo, framing, drywall, painting, and electrical work. Users can expect to hear normal and occasional construction noises such as hammering and drilling and may smell at times water-based latex, non-toxic paint. 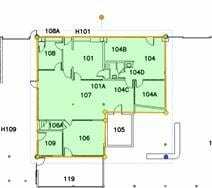 They will see the general contractor and their subs working and entering/exiting the building with tools and materials during regular business hours. No utility disruptions or shutdowns are expected at this time. 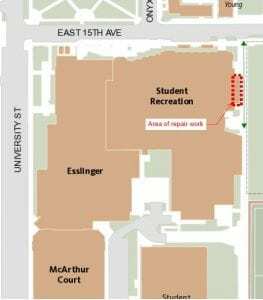 During the week of December 10-14, contractors will be repairing the stucco on the east side of the Student Recreation Center. 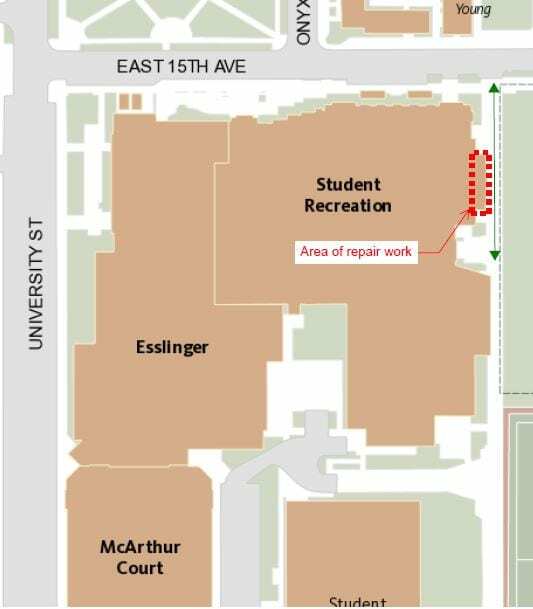 Pedestrian access may be affected but will remain open between the Student Recreation Center and 15th Ave.
On November 5 and 6 the Tower Crane at Tykeson Hall will be dismantled onto trucks into Johnson Lane south of Tykeson at the entrance to parking lot 25. 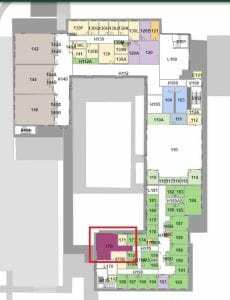 Access to the parking lot and JSMA loading dock will be maintained, however, expect delays. 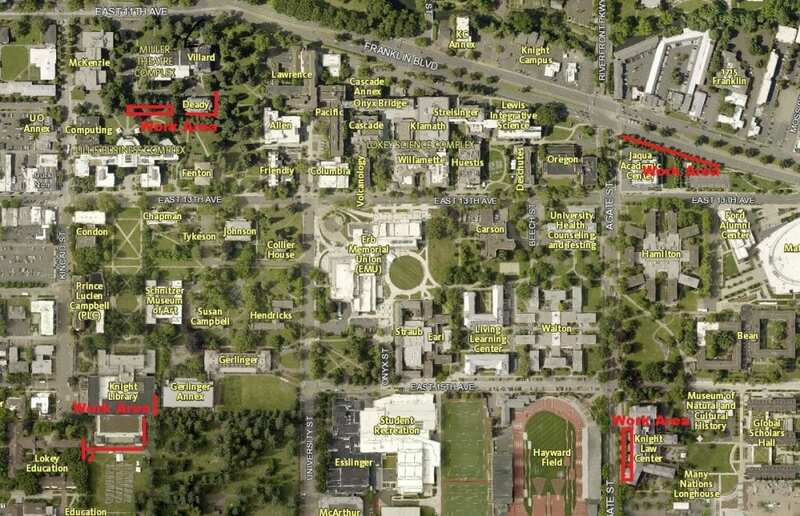 For questions or concerns please contact CPFM Design and Construction Project Manager Martina Oxoby moxoby@uoregon.edu at 541-346-5880. Due to EUGfun! Kincaid will be closed as well as 13th Ave to Alder. 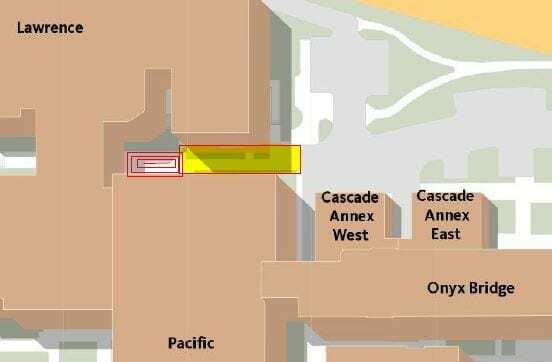 The South Kincaid LTD station will be relocated to 14th Ave, and North Kincaid station will be relocated to 12th Ave. LTD will put signage out indicating the temporary relocation. 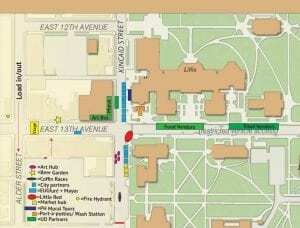 Parking along Kincaid and 13th Ave will be temporarily closed. This event is encouraging the community to use public transportation Friday, October 12 due to street and parking closures. ROTC Cadets will be practicing at McArthur Court East facing basement entries on October 11, 2018 from 1:30 pm – 6:00 pm.. Please expect increased activity in this area. 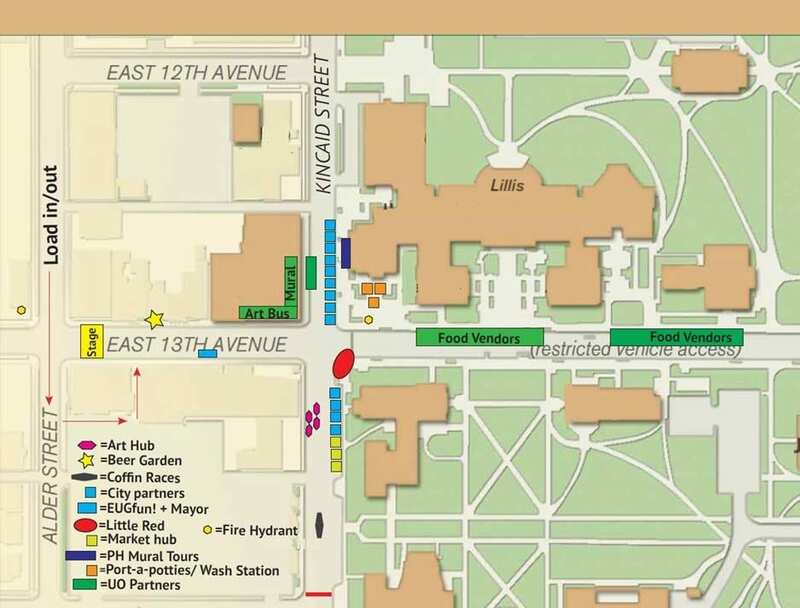 On October 10 – 12, 2018 the ASUO Fall Street Faire will have 13th Ave closed from University Street to Kincaid Street. Activity will begin in this area on October 9. 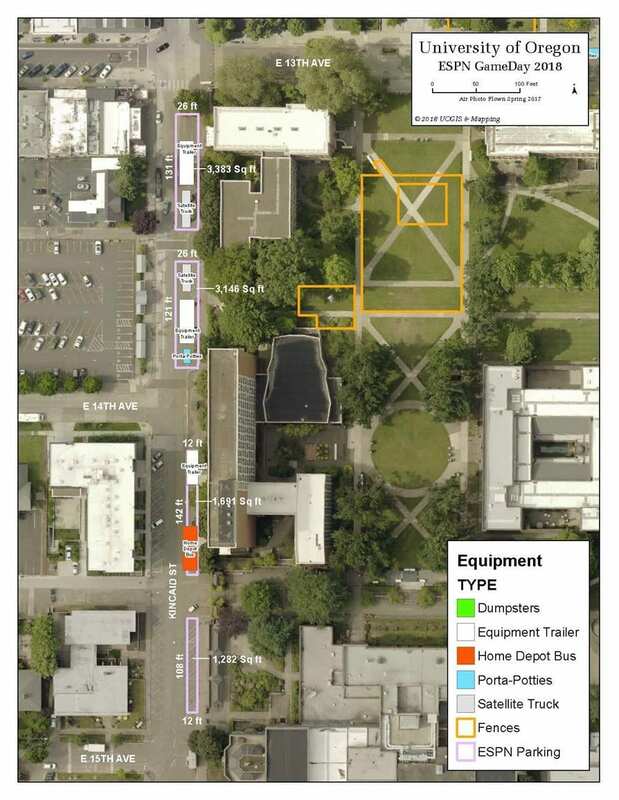 Bike racks will be removed, and parking will be closed along 13th Ave to accommodate vendors. 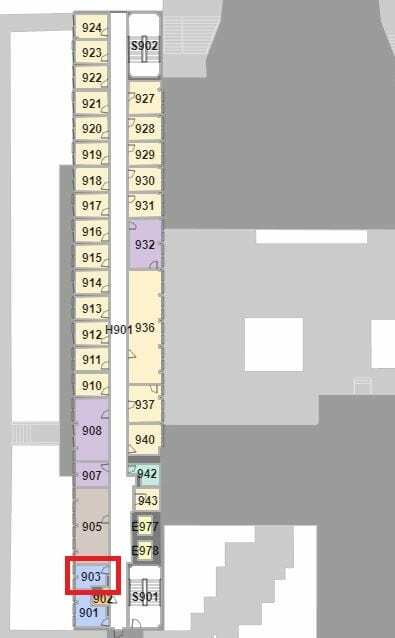 Facilities Services has temporarily shut down PLC restroom 903 for a painting project. They hope to have it reopened by the end of day 9/27. Please expect crews to be working in this area. Facilities Services has temporarily shut down PLC restroom 703 for a painting project. They hope to have it reopened by the end of day 9/27. Please expect crews to be working in this area. Contractor CTS will be working on the rooftop at PLC requiring a lift to be staged at the SE Entrance of PLC. This requires a shutdown of the SE entrance. This work is necessary to install rooftop equipment improving campus communication reception. ESPN will be staging four forklifts, scissor lift and a pallet of plywood in the Back 40 behind Central Power Station through Monday, September 24, 2018. The rental company will be picking the equipment up sometime on the 24th. 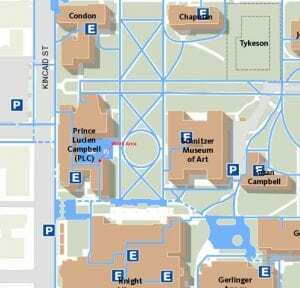 There will also be four golf carts staged at the gate entrance to Campus Planning and Facilities Management on Saturday, September 22. 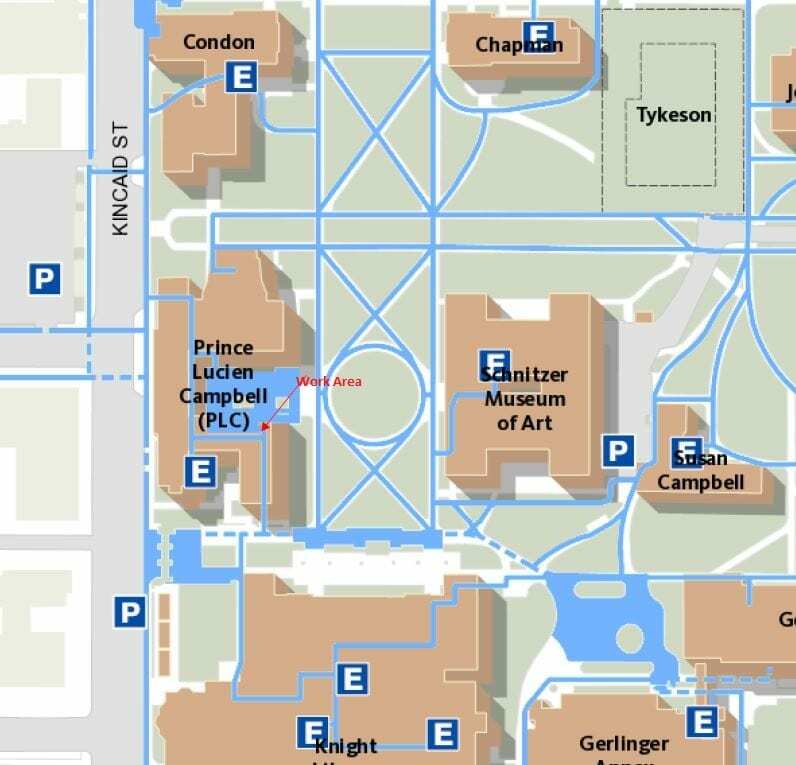 The Knight Campus project will be temporarily stopping the water flow in the Millrace in order to install a temporary construction access road. We are currently targeting the first week in October for this shutdown. The shutdown of flow will last approximately one week, at which time it will be returned to normal. 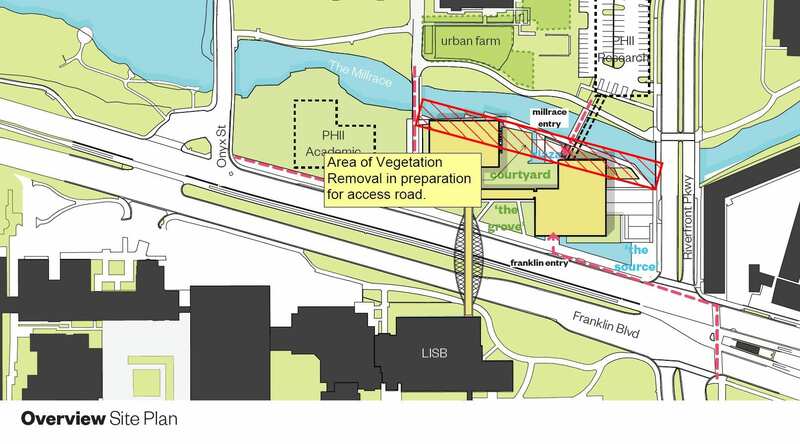 The installation of this access road will include the removal of vegetation from the south side of the Millrace between Riverfront Parkway and the previous pedestrian bridge about halfway to Onyx. Please expect congestion and noise in this area. Actual renovation work to the Millrace will not occur until next summer. This update has been sent to building occupants in PLC and Condon. Due to ESPN GameDay 2018 entry into the PLC north entrance and the Condon South Entrance entry is restricted. Please use another exit if possible (emergency egress will be allowed). 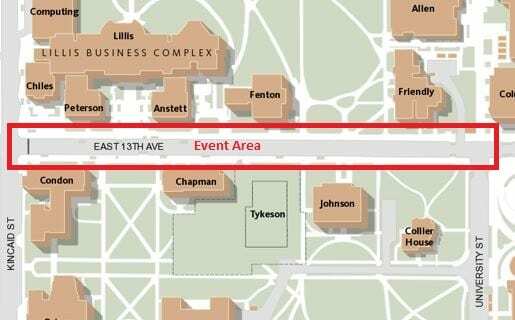 Starting Wednesday, September 19 at 5:30 am through Saturday, September 22 at 5:30 pm Kincaid Street from 13th ave to 15th ave will experience a northbound lane closure, east side parking closures, and bike rack removals to accommodate ESPN GameDay equipment along Kincaid Street. 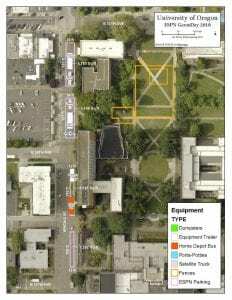 There will also be fencing staged in the Quad outside of Condon Hall, Prince Lucien Campbell, Jordan Schnitzer Museum of Art, Knight Library, and Chapman Hall. Please expect increased activity and congestion in this area. A crane will be based in the JSMA parking lot for a two day sculpture installation in the JSMA north courtyard. This will impact JSMA parking lot, security entrance, north courtyard, north sidewalk, bike cage, and garbage and recycling area. 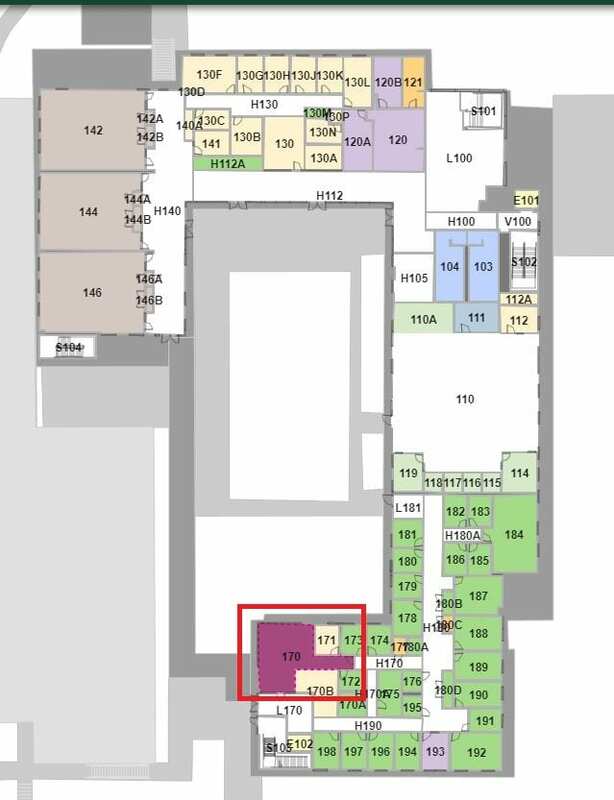 Abatement for the future Work Control Center area in CPFM Building 130 will begin on Monday 9/10, and it should be complete by 9/14. The contractors will be using two parking spaces north of the building, one for a dumpster, and one for their equipment van. Please expect increased activity and noise in this area.